W4 Ranch is proud to offer cattle for sale through our annual production sale. 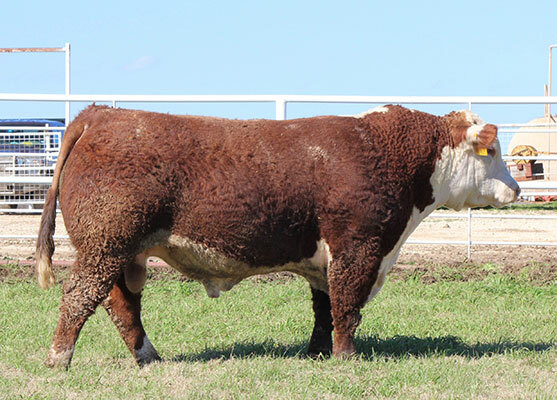 The Hereford bulls and females in our annual sale feature high powered genetics, and are known for their ability to consistently perform for our customers. View our most recent sale information and catalog below. THANK YOU TO ALL BUYERS AND BIDDERS IN These SALES. We greatly appreciate the support of everyone involved. Please let us know if we can help with any questions in the future. THANK YOU TO ALL BUYERS AND BIDDERS IN our Production SALE. We greatly appreciate the support of everyone involved. Click here to view the sale videos. View flip catalog below. View mobile (PDF) catalog. View sale videos. This Polled Grizzly son is powerful from the ground up and very expressive in his muscle design. He is a herd bull for sure! Come see us at the sale! 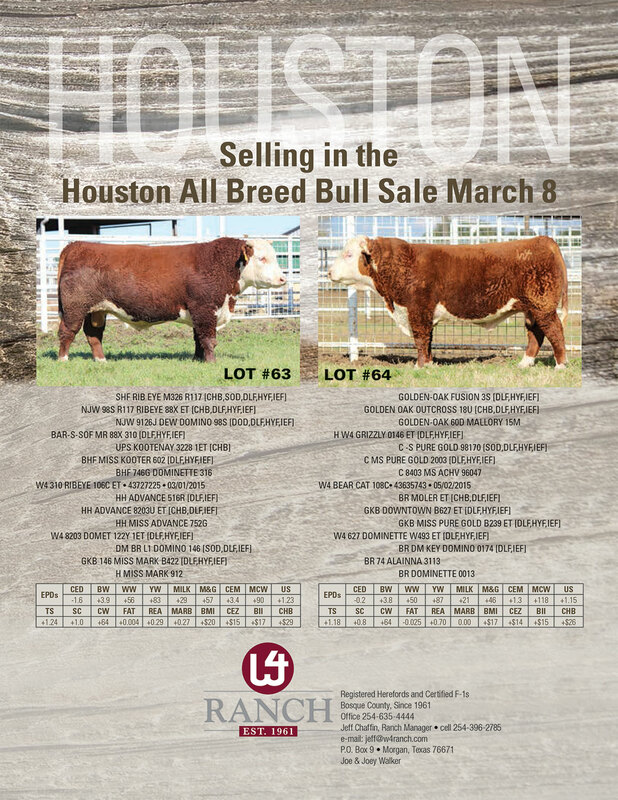 2016 W4 FALL BULL AND FEMALE SALE – View Sale Catalog in a Mobile (PDF) Version.